‘The two dance forms – Morris Dance and Contact Improvisation are contrasting in their moments – the former, rhythmical and step based; and the other fluid and sensorial (melodic). The two dances come from different traditions – one from England and other from the United States. It could be understood as dance in different societal forms – and possibly at differing times: rigid and ordered; chaotic and corporeal. Similarly, there are the differing political traditions: communal for English folk dancing, and high capitalism for the US’s contact improvisation. Although both dance forms are folk dance. ‘Morris dancing has tremendous public recognition which should spark interest and discussion. 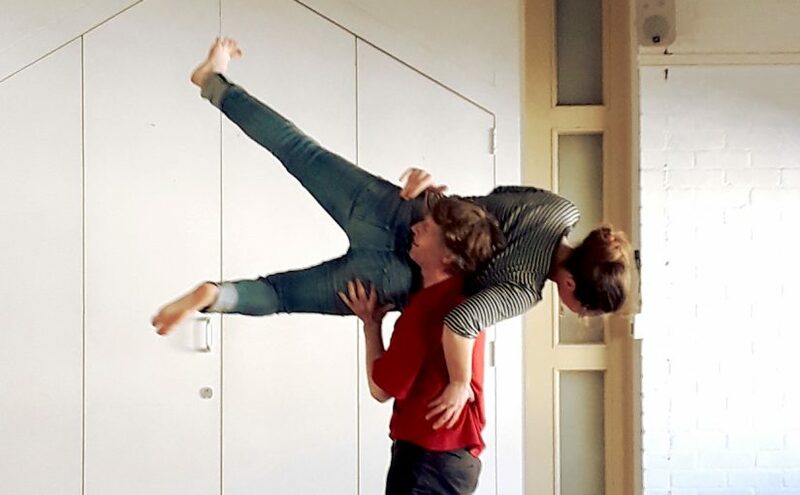 It may also lead to greater public recognition of contact improvisation. Morris dancing is typically danced on May morning in Oxford. 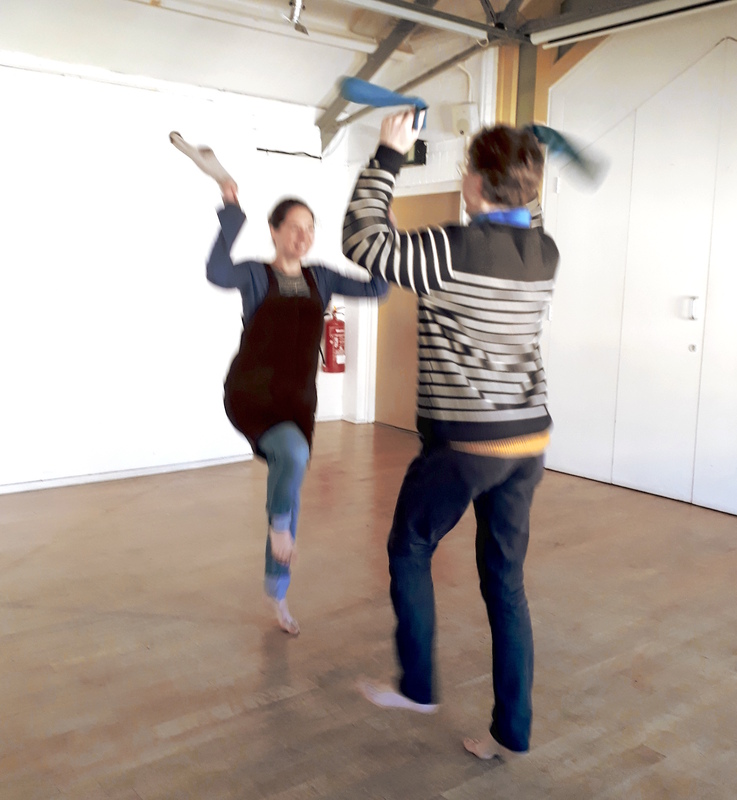 Naomi and Andrew, Morris dancing using socks as handkerchiefs on 8 November 2017 at Creative Lab, Oxford Playhouse. Naomi and I are working with Choreographer Jennifer Stokes on this project. It could go in many directions – Dada perhaps? A dance Readymade? Or maybe into comedy – Comedy Morris? It’s going to be fun wherever we end up! This will be amazing. Please lead a flash Mob may morning! I’m in.